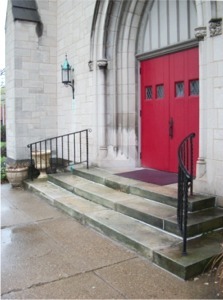 On Tuesday, I attended a service at St. Stephen’s, Wilkinsburg. The service was billed as “Holy Eucharist, Reaffirmation of Ordination Vows, and The Blessing of Oils.” The preacher was Presiding Bishop Katharine Jefferts Schori. Episcopalians seem to pride themselves that preaching is less important to them than for members of other churches, particularly those Evangelical, nondenominational churches drawing thousands of worshipers each week to hear their charismatic pastors. For Episcopalians, the Eucharist is the Sunday morning entrée, and the sermon is an accompaniment often more tolerated than savored. Katharine, however, can hold her own with the best of preachers. Her sermon was closely tied to the Gospel reading for the day, though perhaps not in the most obvious way. She drew on her experiences throughout the church to make the Gospel relevant to our own day and to inspire us all—and particularly the clergy, her primary audience—to pursue Christ’s mission in the world with zeal. I thought her sermon was fabulous. Of course, being an Episcopalian, my standards may not be as high as they could be! Anyway, if you get chance to hear our Presiding Bishop preach, do take advantage of it. Unfortunately, she likely will not again be in Pittsburgh until we consecrate our next bishop in 2012, and she may not preach even then. Katharine is the author of a number of books, however, and their chapters, in nearly all cases, I suspect, began as sermons. I certainly recommend them. 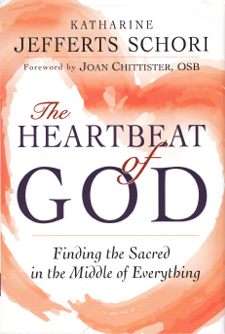 Her latest book is The Heartbeat of God: Finding the Sacred in the Middle of Everything. Tuesday night at Trinity Cathedral, she was autographing copies of this book at the reception held in her honor. Since I had checked out the copy of the book in the St. Paul’s library, I took the opportunity to have it autographed, along with a copy I bought for myself. Having a copy of my own, I’ll be returning the parish copy to the library this evening. Consider checking it out yourself. The congregation may be seated for the first part of the Passion. At the verse which mentions the arrival at Golgotha (Matthew 27:33, Mark 15:22, Luke 23:33) all stand. Of course, I should point out that “may” occurs three times in these instructions; the suggestions are clearly only suggestions. Palm Sunday at St. Paul’s was a bit different this year, primarily in the handling of the Passion reading. Usually this is done with a cast of adult readers using the pulpit microphone and several microphones on stands near the freestanding altar. This year, the 10:30 service (moved to 10:45 for Palm Sunday) used youth readers, with Steve Hill acting as narrator from the pulpit. Steve did a fine job, and the other readers were certainly adequate. There was a problem with the microphones, however. Either because the microphones were insufficiently amplified or because the readers were too far away from them, they were not very effective. Certainly, I missed a good deal of the reading from my vantage point in the choir. More significant was the fact that, for the first time that I can remember in an Episcopal church, the congregation was not provided with printed copy of the Passion narrative. As a result, the congregation did not participate in the reading by playing the part of the crowd. Actually, I have certain qualms about using the whole Passion reading on Palm Sunday—see my essay “The Big Mistake”—but, whenever the Passion story is read during Holy Week, I do think it important that the congregation play its part. For all too long, the Church blamed the Jews for their part in the execution of Jesus. When one is part of a crowd shouting “Crucify him!” however, it is hard to avoid the feeling that each of us is sinful and plays a role in sending Jesus to Golgotha. It is becoming a tradition at St. Paul’s to have a recession, sans choir, to Purcell’s march, from his “Funeral Music for Queen Mary,” played on organ and drum at the end of the Palm Sunday service. The first time I experienced this, I was practically in tears. This year, Tommy Starr, who is becoming a handsome young man, did a fine job on the drum as his father played the organ. That said, such a somber conclusion to Palm Sunday does seem to be rushing the Holy Week drama. 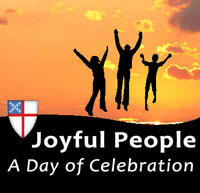 We should be allowed a little joy between Palm Sunday and Maundy Thursday, when the story turns ugly. At the risk of being picky—a risk I take rather often—the Palm Sunday bulletin contained a calendar of upcoming services. The Easter Vigil was listed under the heading “Holy Saturday.” This was a serious and misleading mistake. The Great Vigil of Easter is the first service of Easter. Recall that Jews began their day at sunset, so our Saturday evening service is, liturgically speaking, a Sunday service. The prayer book offers only a one-page service—an outline of a service, really, for Holy Saturday. That outline, on page 283, begins with this rubric: There is no celebration of the Eucharist on this day. The Great Vigil. when observed, is the first service of Easter Day. It is celebrated at a convenient time between sunset on Holy Saturday and sunrise on Easter Morning. The bulletin listing was misleading in suggesting that a person who has attended the Easter Vigil has not attended an Easter service. Not true. You can still be a diligent Christian if you attend the Great Vigil of Easter and sleep in Sunday morning. 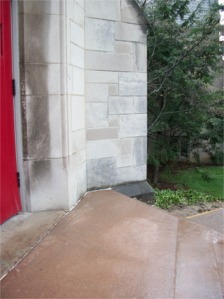 Update, 1:50 PM: See the post “Palm Sunday 2011, Again” for more discussion about the Passion reading. Saturday Bible Study is an obscure and under-appreciated activity at St. Paul’s. A lay led group has been meeting early Saturday morning for many years for religious study. The format has always included breakfast—usually a continental breakfast—and discussion. At one time or another, the group has studied Bible passages, ancient Christian writings, and contemporary books on the Bible and on archeology in the Holy Land. For quite some time, Saturday Bible Study has featured lectures on the Bible and church history on DVDs from The Teaching Company. The lectures are 30 minutes long and are given by noted scholars. Each lecture is followed by a discussion of its content and, often, other issues of common concern. 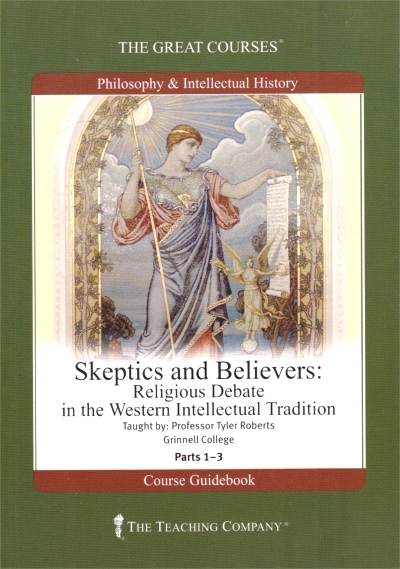 I want to invite parishioners to come to Saturday Bible Study beginning Saturday, April 30, when we will begin a 36-lecture course titled “Skeptics and Believers: Religious Debate in the Western Intellectual Tradition” taught by Professor Tyler Roberts of Grinnell College. A description of the course can be found on the Web site of The Teaching Company here. If you intend to join the group on April 30, please contact me and let me know, so that we can have enough food. You can also ask any questions you might have about the group or the course. Click here to contact me. I heard Sunday through the grapevine that Steve Hill was leaving St. Paul’s, though the fact was not announced in church. On Monday, I visited the parish Web site and discovered a job posting for a youth director. (Apparently, the rumor was true.) On Tuesday morning, a message from Lou showed up in my inbox expressing sadness at Steve’s coming departure. Is it just me, or do other people feel that these latter two events should have occurred in the reverse order? Senior Warden Carl Kylander, with some help from Lou, was the speaker at Adult Forum today. Thursday’s e-mail newsletter described the session as “the conclusion of this five-week series, Responsibilities and Privileges of Membership, and the Senior Warden's Report on Parish Priorities for 2011.” As usual, I could not attend because of choir rehearsal, but I did get copies of the handouts, which deserve some comment. You can read the four pages of handouts here. Of course, only (1) is stated as an objective. Surely rescuing the parish from its current hand-to-mouth existence is an important—probably the most important—priority. Since we have run rather lackluster stewardship campaigns in the past, assigning two Vestry members to stewardship and emphasizing stewardship all year long are probably savvy moves. On the other hand, judging by the handout, I fear we will initiate a capital campaign before we have assured our financial stability. This could sabotage both stewardship and the capital campaign. The statement that “[t]he need for a capital campaign has never been clearer to us than it is now” is worrisome. I am hardly convinced that the need for a capital campaign is urgent. What we could (and should) do now is ask parishioners what projects they would propose. Last time, a list of projects was offered on a take-it-or-leave-it basis. Even projects I thought were worthy I found impossible to support because I felt the details were not well thought out. 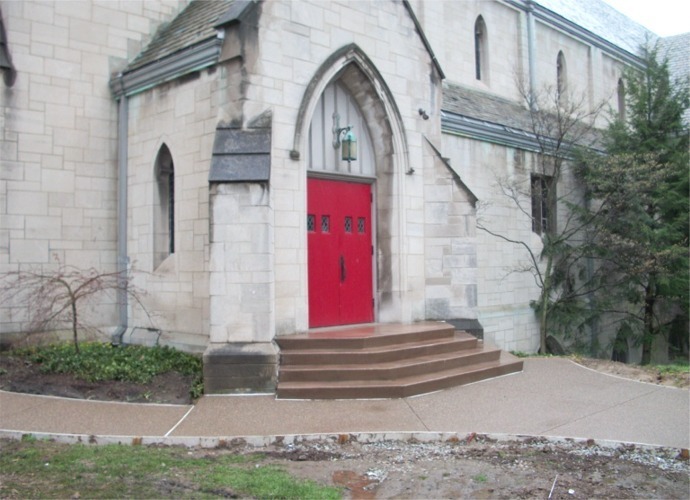 A campaign will be successful only if parishioners feel ownership in what is proposed. The second priority might be more properly described as “improve parish communications,” certainly a worthy and important objective. I like the idea of having two parish meetings in addition to the annual meeting each year, but sandwiching them between the services, as the Vestry plans to do, will minimize their usefulness. Only about a dozen people showed up for today’s adult forum. Will we be satisfied with similar attendance at the new parish meetings? Restoring the Communications Commission is surely a positive move. Never has a Communications Commission ever really accomplished anything at St. Paul’s, however, so Michelle Baum has a daunting job ahead of her. I wish her all success. I am concerned about the Vestry’s new-found need for unity. It is sometimes vitally important for members of the Vestry to close ranks, even if there is not 100% agreement on a course of action. 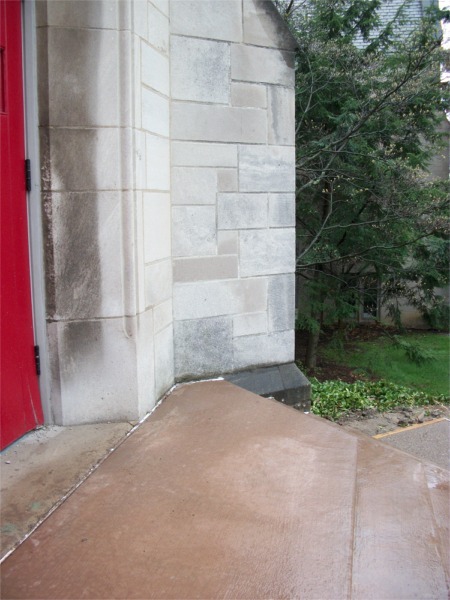 It would not be healthy, for example, if 40% of the Vestry were to express their opposition to a capital campaign. I just hope that the new policy will not mean that Vestry members opposed to any initiative will shut their ears to the concerns of parishioners. Striving for “unity” can too easily be a means of suppressing dissent. It is difficult to see what “welcome,” as an objective, means. Perhaps “build a stronger parish community” would be a more helpful goal. One would like to see a few bullets explaining how Millie Ryan and Sandy Ludman intend to pull this off. The next handout (page 2 of the PDF file linked to above) is titled “Giving in the Episcopal Church.” This handout is well thought out and is especially helpful for new church members who may have come from a Christian tradition that does not rely on pledges as much as Episcopal churches do. The document is informative and avoids the temptation to nag, shame, or intimidate. The third handout (page 3 of the PDF) is “Being a Member of St. Paul’s Episcopal Church.” This is another good piece, though perhaps a title like “How to Become More Involved in the St. Paul’s Community” would be better. Not everyone will want to be so involved, at least not at all times of their lives. The final handout (page 4 of the PDF) is labeled “Member Registration,” the like of which I have never seen at St. Paul’s. I suspect that the parish could fill out this form for many of us, but existing information may be incomplete or out-of-date. It is probably a good idea to update information for everyone periodically. For long-time parishioners, it would actually be helpful if the church did fill out the form for us and simply ask that we validate or correct the information. I like the use of “Adult #1” and “Adult #2” at a time when “Husband” and “Wife” might, in many cases, be inappropriate.